More than 45,000 Jamaicans were deported from abroad between 2000 and 2014, primarily from the United States, the United Kingdom, and Canada. Each month these countries return more than 100 Jamaicans on average to a nation grappling with persistently high levels of crime and poverty. Deportees are not greeted with open arms upon return, in part due to a widely held view in Jamaica and the Caribbean more broadly—fostered by the media and government institutions—that they are to blame for the region's public safety troubles. A connection between deportees and crime has some precedent in other parts of the world; there is some evidence, for example, that the rise of transnational Central American gangs such as MS-13 was fueled by deportation of gang members from the United States. However, the same cannot be said for Jamaica, where only a tiny share of criminal deportees commits new crimes. This article discusses the constructive roles returned migrants—a socially stigmatized population seen as criminal and unemployable—can play in rebuilding their lives while advancing the larger project of national development. It examines the experiences of a group of men and women in Jamaica deported from the United States, the United Kingdom, and Canada for criminal offenses, who now seek to contribute to their home country and to redefine what it means to be a deportee. Few topics in Caribbean criminal justice systems are as contentious as deportation. It is widely believed that the region’s ongoing crime troubles can be tied to the activities of deportees returned after receiving significant “schooling” in crime during their sojourn abroad. However, a joint report from the UN Office on Drugs and Crime and the World Bank in 2007 found that there is no clear relationship between the number of deportations and serious crime rates in Jamaica. Jamaica receives the highest share of individuals deported from the United States on criminal grounds, with those convicted of criminal offenses accounting for 89 percent of Jamaican deportees repatriated in 2012. Nearly 88 percent of Jamaicans returned from all countries from 2006 to 2014, however, were deported for reasons unrelated to violent crime, the most common offenses being illegal immigration and drug possession. From 2000 to 2013, a majority of deportees to Jamaica last resided in the United States (49 percent) and the United Kingdom (30 percent), with the remaining deported from Canada (7 percent) and a combination of other countries (14 percent), primarily in the Caribbean. While the United States was the leading source of criminal deportations to Jamaica in the late 1990s, deportations from the United Kingdom rose dramatically in the 2000s. Immigration crimes accounted for the bulk of these deportations, but a rising number and share were drug-related crimes. The growth in cocaine marketing in the United Kingdom over this period—an activity traditionally associated with Jamaican “yardie” groups—might have contributed to this trend. A common thread in Caribbean narratives about deportation—that criminal deportees generally will reoffend in their homeland—is not convincingly borne out for Jamaica. Evidence from a study conducted by Jamaica’s National Intelligence Bureau (NIB) in 2014 shows a small minority had reoffended, notwithstanding the serious nature of some of these offenses. In the study, NIB, the investigative branch of the Jamaican police force, selected a sample of 1,000 people deported between 2005 and 2012—including both criminal and noncriminal deportees—to ascertain whether they had committed any crimes since their return. From this sample, 40 had been charged with one or more criminal offenses since their return. These were primarily drug-related, but other offenses included assault, robbery, and illegal possession of a firearm. Thus, a relatively small share (4 percent) of the population surveyed had committed a new crime in Jamaica. Furthermore, the survey results indicated no significant upward trend in reoffending. These findings are in line with those of earlier studies conducted in Barbados and Trinidad and Tobago, in which only 13 percent and 15 percent of 332 and 565 criminal deportees surveyed, respectively, had subsequently been charged with a crime. This recidivism rate is low when compared with that of prisoners released from local prisons. Further reduction in the incidence and risk factors for reoffending—such as homelessness and unemployment—requires support for the reintegration of deportees upon their return. In order to gauge how best to accomplish this, the University of West Indies (UWI) launched a series of workshops and seminars with 100 men and women who had been deported within the previous 36 months from the United States, the United Kingdom, and Canada. Participants had all been deported for one or more criminal convictions, or for having pled guilty to one or more criminal charges. While still working through the challenges of being separated from their overseas family and community, workshop participants said they did not want to be burdens to Jamaica. If they were unable to return legally to families in the North, they said the next best thing would be to seek ways to get involved, and stay involved, with constructive initiatives at “yard” (meaning in Jamaica)—and that enrollment in the workshops was one step towards that goal. Participants said the label “deportee,” with its connotations of “no good, dutty (dirty) criminal,” hampered their efforts to meaningfully participate in society. They said they felt their criminal conviction abroad and resulting deportation should not be their defining characteristic; rather, they referred to themselves as “deported migrants,” hoping this term would allow more room to negotiate Jamaican society. One important result of the UWI workshops and research was the creation of the National Organization of Deported Migrants (NODM), which facilitates reintegration services for deportees in Jamaica. Founded in 2009 as an outgrowth of the Family Unification and Resettlement Initiative (FURI), a Jamaica-based nonprofit assisting in the reintegration of deportees, NODM focuses in particular on the social and economic reintegration of those deported for criminal offenses. A rich landscape of local and international organizations and services works to meet the needs of the deportee population in Jamaica, including FURI and NODM as well as Open Heart Charitable Mission, Hibiscus Initiatives, the Salvation Army, and Open Arms Drop-In Center within Bellevue Hospital in Kingston. NODM occupies a unique space in that it is led by criminal deportees who have a particular focus on serving other criminal deportees, while maintaining structured relationships with government agencies and other NGOs. NODM membership is available to any Jamaican who has ever been expelled, deported, or otherwise forcibly removed from another country and returned to Jamaica, regardless of the reason for removal or whether the individual served a prison sentence. Give advice on and/or direct deportees to resources for earning livelihoods. More importantly, NODM also helps deportees launch small, self-sufficient enterprises, typically in agriculture, service, and inner-city revitalization. One project, for example, has engaged deported migrants in planting, harvesting, and selling carrots and potatoes. To fund such ventures, NODM has created community-managed, self-sustaining capital funds, from which loans for communal enterprises can be accessed and then paid back from future profits. The idea is to develop industries with the capacity to generate sustainable income and the ability to employ deportees. The three principal founders of NODM, who each spent 15 to 20 years in U.S. prisons before being deported, now speak of themselves as “reformed,” and as focused on building productive futures in Jamaica. NODM members are similarly expected to step into contributing roles in society. NODM also advocates for the rights of all Jamaicans who have lived abroad and returned, whether as professionals, retirees, or otherwise. The group’s advocacy attracted the attention of the Ministry of National Security and the Planning Institute of Jamaica, and NODM now holds an official consultative role within both agencies. These key government social planning departments are now incorporating the principle of inclusion into their policy positions. Contrary to earlier stances, which saw deportees as “nothing but trouble,” the official Jamaican position now appears to consider the experiences of the deported population as conceivably a reservoir of untapped skill sets and avenues for investments that could benefit the country. Several international actors contribute to reintegration efforts in Jamaica. One example is Hibiscus Initiatives, a British NGO offering guidance and case management services to facilitate resettlement of foreign nationals detained or imprisoned in the United Kingdom, including those to be returned to Jamaica. In addition, the Salvation Army operates facilities for social services and education for underserved populations on the island, including community centers, a medical clinic, and an addiction rehabilitation center. Besides NGOs, the British government has itself become an important actor in the area of deportee reintegration in Jamaica. Mutual opportunism brought NODM into a relationship with the UK Home Office. As the third-largest foreign contingent in British jails, Jamaicans have become a particular target for policy attention, as has the population of migrant criminals more generally. The British people “want this issue [of Britain housing foreign criminals] fixed, and they are not being unreasonable about it, and I will fix it,” Prime Minister David Cameron said in 2014. In carrying out removal orders, enforcement agents were often met with resistance by their targets—which precipitated harsh physical restraint measures. During the 1990s and 2000s, several migrants died in the process of being deported following the use of extreme restraint tactics. In 1993, Joy Gardner, a 40-year-old unauthorized Jamaican woman, died after being bound and gagged by British officers trying to deport her. In the wake of negative publicity following these deaths, Home Office representatives in 2012 reached out to NODM with an unusual proposition. They reasoned that a welcoming message from Jamaica might help reduce the fear and uncertainty felt by deportees about returning to the island—thereby reducing resistance. The Home Office offered NODM funding to pay for telecommunications hardware allowing migrants in removal centers to phone Jamaica prior to return. The British government also paid for a vehicle to pick up deportees at arrival in Jamaica, and the relationship has given NODM capacity to fulfill several key reintegration objectives. that it provide opportunities for deported migrants to access sustainable livelihoods. The first of these is arguably a precondition for the second and third goals. When a known deportee is entrusted with a good job or a deportee-owned business succeeds, the returned migrants involved are able to more fully reintegrate into society. Thus a positive reinforcement effect sets in, wherein giving deportees decent jobs helps combat stigma, in turn helping more of them obtain employment. The Jamaican case illustrates that opportunities for economic inclusion are essential to successful reintegration. Such social and economic empowerment at the individual level has the added benefit of being good for national development. While rebuilding lives in their home country, deportees simultaneously build a community that allows others to do the same. Bauman, Zygmunt. 2001. Community: Seeking Safety in an Insecure World. Cambridge: Polity Press. Delgado, Richard and Jean Stefancic. 1994. Failed Revolutions: Social Reform and the Limits of Legal Imagination. New York: Westview Press. DeSantis, Nick. 2014. Controversial Illinois Lecturer Tells Trustees He’s Ashamed of His Past Acts. The Chronicle of Higher Education, May 14, 2014. Available Online. Freire, Paulo. 1986. Pedagogy of the Oppressed. New York: Penguin Books. Golash-Boza, Tanya. 2012. Due Process Denied: Detentions and Deportations in the United States. New York: Routledge. Government of Jamaica. 2013. Draft of National Policy and Plan of Action on International Migration and Development. Kingston, Jamaica: Planning Institute of Jamaica. ———. 2014. Economic and Social Survey of Jamaica, 2006-2014. Kingston, Jamaica: Planning Institute of Jamaica. Available Online. ———. 2015. Letter to Africa Caribbean Pacific Migration Office of the European Union. Kingston, Jamaica: Planning Institute of Jamaica, November 1, 2015. Headley, Bernard. 2006. Giving Critical Context to the Deportee Phenomenon. Social Justice 33 (1): 40-56. Available Online. ———. 2010. 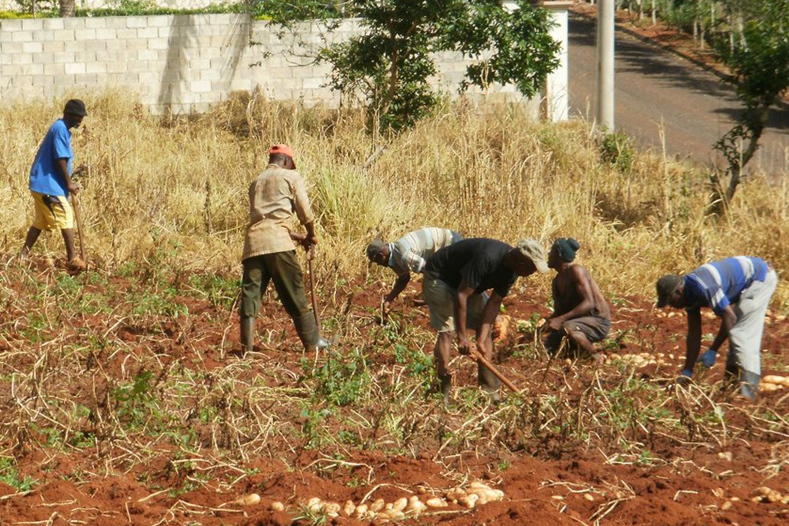 Jamaican Deported Migrants Aim to Support Development and Environmental Management. Commentary, Migration For Development, June 6, 2010. Available Online. Headley, Bernard, Michael D. Gordon, and Andrew MacIntosh. 2005. Deported: Entry and Exit Findings Jamaicans Returned Home from the U.S. Kingston, Jamaica: Self-published. Henry, Stuart and Dragan Milovanovic. 1996. Constitutive Criminology: Beyond Postmodernism. London: Sage Publications. Milovanovic, Dragan. 2004. Psychoanalytic Semiotics, Chaos, and Rebellious Lawyering. In Lacan: Topologically Speaking, eds. Ellie Ragland and Dragan Milovanovic. New York: Other Press. ———. 2011. Justice-Rendering Schemas: A Typology for Forms of Justice and a Prolegomenon for Transformative Justice. Journal of Theoretical and Philosophical Criminology 3 (1): 1-56. Available Online. ———. 2014. Quantum Holographic Criminology: Paradigm Shift in Criminology, Law, and Transformative Justice. Durham, NC: Carolina Academic Press. Milovanovic, Dragan and Stuart Henry. 2001. Constitutive Definition of Crime. In What Is Crime? Controversies Over the Nature of Crime and What to Do About It, eds. Stuart Henry and Mark Lanier. Boulder, CO: Rowman and Littlefield Publishers, Inc.
Monchinski, Tony. 2010. Education in Hope: Critical Pedagogies and the Ethic of Care. New York: Peter Lang. New York Times. 2013. Graphic: Growth in Deportations. The New York Times, February 22, 2013. Available Online. Palmer, Ransford W. 1995, Pilgrims from the Sun: West Indian Migration to America. Woodbridge, CT: Gale / Cengage Learning. Rabens, Andy. 2014. Entrepreneurship as a Vehicle for Youth Empowerment, DipNote Blog, U.S. Department of State, November 21, 2014. Available Online. Seelke, Clare Ribando. 2014. Gangs in Central America. Washington, DC: Congressional Research Service. Available Online. Thomas-Hope, Elizabeth. 2014. Reintegration and Rehabilitation of Forced Returnees to Jamaica: Survey of the Reintegration of Deportees. Report to International Organization on Migration and British High Commission. Kingston, Jamaica. Thompson, Ginger and Sarah Cohen. 2014. More Deportations Follow Minor Crimes, Records Show. The New York Times, April 6, 2014. Available Online. Tucker, Emily. 2014. Deportations for Minor Offenses, Letter to the Editor, The New York Times, April 13, 2014. Available Online. Tyler, Imogen, Nick Gill, Deirdre Conlon, and Ceri Oeppen. 2014. The Business of Child Detention: Charitable Co-option, Migrant Advocacy and Activist Outrage. Race & Class 56 (1): 3-21. United Nations Office on Drugs and Crime (UNODC) and World Bank. 2007. Crime, Violence, and Development: Trends, Costs, and Policy Options in the Caribbean. Washington, DC: UNODC and World Bank. Available Online. Watt, Nicholas. 2014. British People Are My Only ‘Boss’ on EU Reform, Says David Cameron. The Guardian, October 20, 2014. Available Online. Welch, Michael. 2002. Detained: Immigration Laws and the Expanding I.N.S. Jail Complex. Philadelphia: Temple University Press. White, Mary C. 1999. Black Identities: West Indian Immigrant Dreams and American Realities. New York: Russell Sage. Yoshikawa, Hirokazu and Carola Suárez-Orozco. 2012. Deporting Parents Hurts Kids, The New York Times, April 21, 2012. Available Online. Bernard Headley is a retired Professor of criminology at the University of the West Indies in Mona, Jamaica, and is Founder and Board Chair of the National Organization of Deported Migrants in Kingston. Dragan Milovanovic is a Brommel Distinguished Research Professor in the Departments of Sociology and Justice Studies at Northeastern Illinois University.